Our planet has a rhythm that has played a major role in governing the evolution of life. We don't just live on the Earth. We live inside it; namely, in the unique cavity that is formed between the Earth's surface and ionosphere. And within that cavity, you and I swim in a veritable sea of invisible energies and opscillating fields. The smallest changes in one intertwined area carry over turbulence into others. Every second, a multitude of pulses travel around the world in this unique, resonant chamber between the Earth and the ionosphere, sending colluding signals to all microorganisms. These signals couple us to the Earth's magnetic field. Named after their discoverer, these Schumann Resonances (SR) drive the harmonizing pulse for life in our world. We all march to the cadence of this terrestrial drummer — our planetary heartbeat, which sets the tempo for health and well-being. Damaging this planetary heartbeat could be detrimental to all life on this planet. In the name of progress, this Earth Pulse is now threatened with the ever-growing phenomenon of man-made electro-pollution in an advancing technological age. Lewis B. Hainsworth was among the first to suggest that human health is linked to a geophysical framework by way of the naturally occurring Schumann ELF (extremely low frequencies). His theory identified naturally occurring features which determine the frequency spectrum of human brain-wave rhythms. He concluded that the frequencies of human brain-waves evolved in response to these signals. If his theory is correct, conditions for evolutionary changes in human brainwave patterns have now been established. In a state of deep relaxation, slow rhythmic sine wave patterns in the 6-8 Hz range can be detected. Sympathetic resonance is a harmonic phenomenon in which a formerly passive string or vibratory body responds to external vibrations to which it has a harmonic similarity. The classic example is demonstrated with two similar tuning-forks. When one of the tuning forks is truck, the other begins vibrating automatically via resonance. Certain types of oscillators can alter the environment through sympathetic resonance as well. This means that with the right kind of environmental stimulus, you can entrain standing waves not only in the brain but in the body as well. Continually reinforced wave forms, created by resonance, can result in large oscillations which entrain other circuits in the body tuned to those frequencies. As the Earth naturally pulses at various frequencies, this acts as a kind of master entrainment signal that entrains a whole hierarchy of frequencies, including those of the human heart, brain and mind. As wondrous as this may seem, it makes perfect sense when you realize that everything we do is done within this sea of entraining energy pulses produced by the Schumann Resonances. The ionosphere that comprises the ceiling of this Schumann cavity is made up of electrically charged particles. This highly charged layer makes the ionosphere act as a kind of “capacitor” for the Earth. And there is a difference in electrical potential between the Earth's surface and the ionosphere, which acts as a kind of electrical generator. You might think of this electromagnetic field around the earth as a kind of gel, like stiff jelly. When we move, all those movements are transmitted to the environment via this field, and vice versa. These fields not only affect our bodies, they also influence our body's electrical charge. As we stand on the ground, our body is grounded. Our body creates a kind of basin within the electrostatic field by distorting its lines of force. In 1981, Dr. Richard Alan Miller published a scientific paper in which he showed that this process icouples us as human beings with the isoelectric field of the planet. The scientist after whom the Schumann Resonance is named, Winifried Otto Schumann, calculated the Earth-ionosphere cavity resonance frequencies in 1957. He found the most predominant standing wave to be around 7.83 Hz. In a “tuned” system of oscillators, when one oscillator begins vibrating, the other oscillator will eventually begin vibrating at the same frequency. Kindling is also a term that refers to neuronal entrainment in the brain. As this kindling ignites more neurons globally across the surface of the brain, it helps facilitate a synchronous, coherent state of consciousness such as that seen in deep meditation. Interestingly, the 7.83 Hz Schumann Resonance falls within the range of human brain waves, precisely in the middle where the alpha brainwave and theta brain wave ranges meet. As such, practices that elicit this range of brain waves, such as meditation, help facilitate a deep coupling of human physiology with the Earth's Schumann Resonance. Various scientific experiments have suggested that this mutual coupling of human physiology with the Earth creates a kind of resonance in which energy and information are most efficiently transferred between the two. Schumann Resonances may be how the planet communicates with us as humans via the universal language of resonance. And this is likely one of the reasons why being out in nature can be so enlivening and healing for human beings. In his scientific paper entitled, “Schumann's Resonances and Human Psychobiology,” Dr. Richard Allen Miller states, “Ample anthropological evidence shows that humans have intuitively synchronized with the planetary resonance throughout human history and back into the mists of time. There is cross-cultural evidence demonstrating a variety of ritualistic practices which enhance this harmonization with the planetary field. Perhaps the most obvious ‘drivers' of these trance states are shamanic drumming and trance dance, arguably employed for over 50,000 years. Pulsing light is another driver. A further example comes from the use in both the Jewish and Muslim faiths of bobbing and swaying while praying or reading holy books. “This trancing phenomenon can be presumed to ingrain texts at a deeper level and to create ‘experiences' to go along with conceptual indoctrination. It may also be linked in some manner to hypnotic gesturing (mudras) and speech, and therefore to charisma or so-called “mana” personalities. Mead and Bateson reported a technique transmitted to Balinese children which this culture intuitively employed to harmonize their communities. They discovered that the parents encouraged their children to vibrate parts of their body, harmonizing to the SR cycle. And you can do the same thing; you may already do it unconsciously. Can anybody intentionally induce this healing/energizing frequency? There are numerous ways to entrain the human brain, heart or even the entire human organism to the Schumann Resonance. In fact, this video you are watching right now is silently entraining your entire energetic system to the Schumann Resonance as I speak. 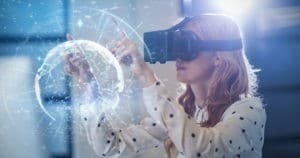 If you'll recall, the beginning of this video mentions that this video uses two new forms of mind-brain technology called “Energetic Encoding Technology” and “Scalar-Wave Entrainment”. They use completely silent entrainment frequencies to entrain your mind, brain and body to the Schumann Resonance. You may have noticed that you feel more centered, relaxed, grounded and focused as you watch this. The longer you are exposed to this energy medicine technology, the stronger you will feel it. 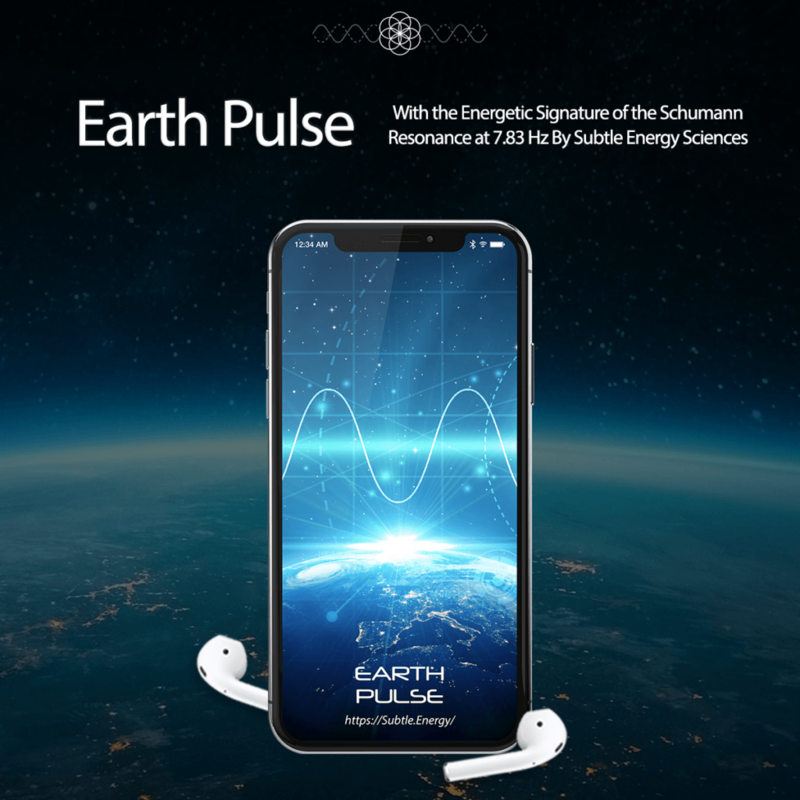 By consciously linking ourselves to the Schumann Resonance, we are essentially taking strategic advantage of the natural harmonic relationship between the Earth and ourselves. We are intimately interwoven with the Earth's low frequency isoelectric, magnetic and electrostatic fields, but modern day electro-pollution can often interfere with this natural connection. Numerous scientific studies have shown a positive correlation between various Psi phenomena and the 7 – 8 Hz range of human brain waves, which also just so happen to correlate with the fundamental Schumann Resonance at 7.83 Hz. Michael Persinger, Ph.D. of Laurentian University in Canada has conducted a number of scientific experiments that have led him to theorize that the 7 – 8 Hz range of brainwave frequencies acts as a kind of entraining frequency to link the human mind and brain with the Earth’s geomagnetic field. Further research has shown a strong correlation between geomagnetic activity and psychic phenomena. This has led some scientists to believe that the Earth’s magnetic field can act as a kind of “psychic information highway” or “psychic Internet,” and this may be why the Schumann Resonance has been linked to various psychic phenomena and enhanced creativity. In the next video in this series, we'll explore this link between the geomagnetic field, the Schumann Resonance and Psi phenomena even further.